"England have also lost four of their last five, including back-to-back defeats by Australia in February"
England were ruthless in despatching Australia 5-0 in the ODI series as they confirmed their status as the best team in the world. Yet for that dominance it is important to remember that they are not rated so highly in T20. Pakistan, Australia, India and New Zealand all are ranked higher. Over the last two years they have lost eight from 13. They have also lost four of their last five, including back-to-back defeats by Australia in February. Why is that? Rather surprisingly it is their batting that has let them down. They didn't make more than 155 in those Australia games. They haven't chased well, either, losing five from eight. Adil Rashid and Chris Jordan are their top-ranked bowlers but Jordan is not in a squad which is almost exactly the same as the one used in the ODI. There is no Sam Billings, though. Australia's record in the last two years is nine wins from 12. Seven of those have come when they have fielded first so it is clear where their strength is. Their biggest weakness, however, has to be confidence after a horrendous showing. It could be that the switch in format could be the break they need. Or they could just be desperate to get the hell out of there and this one-off contest is an annoyance. Not surprisingly the squad stays the same apart from the slightly strange inclusion of Nic Maddinson, who hasn't played a T20 for four years. Jack Wildermuth, the all-rounder, and leggie Mitchell Swepson are also in. Alex Carey takes over behind the stumps from Tim Paine. Unlike in ODI there are no concerns Steve Smith and David Warner are unavailable. Smith has not featured for Australia in two years while Warner had averaged only 17. Glenn Maxwell, Aaron Finch and D'Arcy Short have good numbers. With the ball they could do with Adam Zampa. He is the second-highest wicket-taker behind the excellent AJ Tye in the last two years. Billy Stanlake is also a threat. There have been only four T20 internationals at Edgbaston. The first-innings scores read (1-2 denote match won by side batting first or second): 180-1/118-1/162-1/167-1. In county cricket it has never been a wicket full of runs and the average is a shade under 160. That toss bias which is hinted at in those four games is not a consistent trend. England are [1.6] and Australia [2.58]. On the formguide in ODI we would have to have been sat out in the sun too long to take on England. But are those games relevant here? If we are looking at T20s only then it is simple to make a case for Australia ending the tour on a high. It could be they benefit from going out and having a thrash. For those nervous about getting with the tourists you could caveat the bet on the toss. Their record is excellent in a chase and we don't expect that price to shift much after the flip. England's top runscorer in the last two years is Eoin Morgan. Their second best is Dawid Malan. He has not been picked. Morgan is 9/2 with Betfair Sportsbook. The expectation is that Jason Roy, Alex Hales or Jonny Bairstow will do the damage. Of the three it is Bairstow who has the best record. He goes off at 3/1. Roy doesn't look much of a favourite at 11/4 considering he averages 17 in the study period. 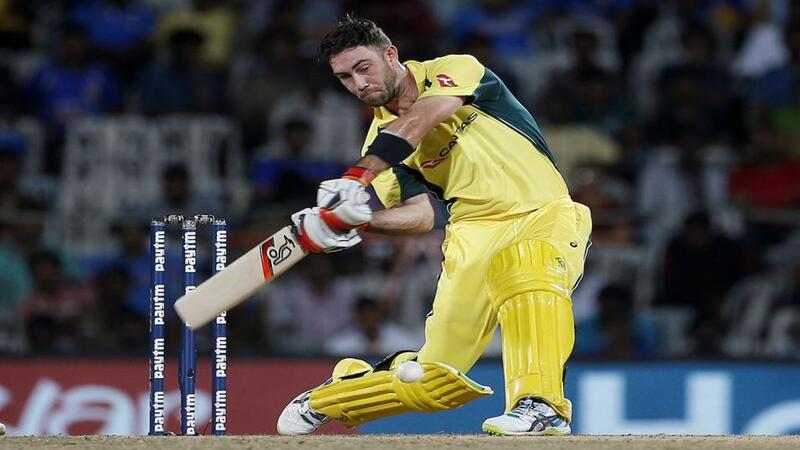 Maxwell has 451 runs in his last eight innings (two years) and that stats alone could be enough to reckon he is value for top Australia runscorer at 9/2 with Sportsbook. He is averaging 51 (not including not outs). Finch is the jolly at 3/1. He is averaging 29. Short and Head are 10/3 and 7/2 respectively.